children or babies to take with you, this may seem daunting. You can probably already hear the groans of passengers as you and your offspring approach a seat near them. I heard one young man say, “My flight is going to be terrible now.” I felt for the mother and hoped that she didn’t hear the comment, though I thought I saw her clench her jaw. I empathised with the young man just a teeny bit. A constantly screaming baby is hard to be near but so is a drunken young man, which he had the potential to be. Since immigrating to New Zealand from England, I have flown long-haul flights with all ages and stages of babies, toddlers, children and teenagers. The journey is two twelve-hour flights with a variety of hours in transit in between. 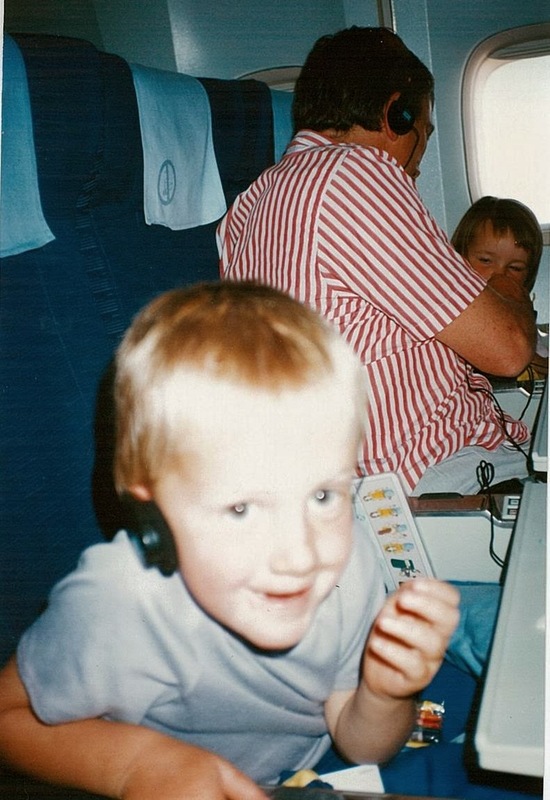 As my youngest is now a teenager, most of the travelling with children was before those marvellous individual screens for in-flight entertainment. Individual screens or not, the journey can be hard. The prospect of it can be overwhelming. The journey is worth it though, and the more you are prepared the easier it is. Here are a few tips for travelling with children that worked for me, particularly on long journeys. Adjust your mental state. You are not the young man wishing away the hours. You will be in demand the whole time, or asleep. Don’t bother to bring a book or expect to watch a movie the whole way through. When the journey becomes tiresome or tiring, remember why you are doing it. Revel in the excitement of that arrival when you can hug and kiss family and friends and they can ooh and aah over your weary children. Ask the air stewards if all the lights are going off at some stage. You could use this as the sleep time. Encourage all the children to sleep at this chosen time so you can sleep too. Put the blankets over them and restrict the in-flight entertainment. You could try the “When you...then you“ rule. For example, “When you have had a good sleep, then you can watch a movie, play a game.” If they are sleeping avoid the temptation of watching a movie yourself; try and sleep. Dress your children in comfortable clothes. A friend used to put her children in pyjamas so they knew there was sleep involved. Have warm socks and a light jumper as planes can be chilly. The bulkhead seat works well, especially if your family fills all the seats. It is often near to a toilet. It is roomier to be in and your children can put their feet up on the wall in front. On one trip where we weren’t in the bulkhead, a passenger who had been sitting in front of my son, turned around to me at the end of the flight. With clipped speech she explained how annoying it was for her to have her seat kicked and pushed during the whole flight. I apologised but her complaint added to my baggage until I was sure she wasn’t in the same seat on the next flight. When your children are awake, walk with them through the plane during the rare times when there isn’t a food trolley in the way. If they need to go to the toilet, and are not desperate, take them to a toilet at the opposite end of the plane to ensure a bit of a walk. It is good exercise for you and them. Embrace a welcoming fellow passenger. I have had a few passengers who have been keen to chat and pass the hours with my children. Consider limiting sugar intake such as fizzy drink s to avoid a sugar buzz, especially if it is before sleep time. If there are two adults travelling with children consider the adults separating on the plane and taking shifts with the most demanding children. This increases the opportunities for sleep. In-flight Activity Bags are not guaranteed, neither is a working in-flight entertainment screen, so bring some activities of your own. I used to have an activity bag ready for the children when they became restless. It usually contained a couple of cheap toys that only needed to last as long as the flight. Lego replicas worked well, as did a matchbox size toy with wheels to zoom over the seats, table and me. It included crayons, a small pad to draw or write on, and some play dough. Playing with play dough is a soothing activity for children. Adding lavender oil doubles the calming effect. The tray table is a great size for them on which to roll out and create shapes. You only need a small amount. You can make it yourself (recipe below) or buy it. Knead in the lavender oil, split it up into large egg sized portions and wrap them in an airtight bag. By the end of the flight the play dough will probably be dried out and can go in the rubbish. I tend to keep seat belts on, but loosen them and have them over the blanket if the child is asleep. The air steward needs to see the fastened seatbelts. It is a nuisance to wake the child just to put a seatbelt on. Take a pushchair. The simple ones that fold up small usually meet the airline requirements. Check with your airline. With a pushchair it is easy to carry a few bags on and the most tired or sleepy child can sit in it. When travelling on my own with four children, my nine-year-old son pushed the sick three-year-old, leaving my arms free to carry the sick one-year-old. When in transit, drink lots of water and walk around a lot. There are usually long walks to gates you can do. During the walk you may find places to watch planes and their cargo being loaded, or even a play area. I have also found quiet and empty places where, if the transit is a long one, the children have been able to play or have a nap stretched out on the seats or the floor. If you have a stopover for more than eight hours, consider renting a room. Some airports have transit hotels. We have relished a shower, a swim, a feeling of being horizontal, and the freedom to walk around in a family privacy for a few hours. Leaving the airport can be more effort than it is worth with small children. Part 2 will be posted within the next week and will have information your carry on luggage survival packs for you and your children. The November Newsletter is coming up and looks at Homesickness. It seems it was given more recognition in the seventeenth century than now. Sign up here for the newsletter. Makes at least 3 portions. Stir all ingredients together in a heavy based large saucepan and cook over a low heat for 3 to 5 minutes until it becomes hard to stir. You will need a strong wooden spoon. Remove from the saucepan then knead the dough on a board. It will be hot at first but once it cools slightly it is a pleasure to knead the warm dough. This is the stage where you can add lavender oil. Divide it into 3 and wrap each portion up in small airtight bags. NOTE: This will keep for months in an air tight container (or fastened plastic bag) in or out of the fridge.